Vinnie is having lots of fun using our sensory wall in the garden. On the sensory wall we have many activities for the children to engage in and to promote their gross motor skills. Vinnie shows a particular interest in the balls on string. He slides each ball from one side of the string to the other. A member of staff encourages Vinnie to count whilst doing this. At first, Vinnie was slightly withdrawn and would not count but once the staff member gave Vinnie some distance, he counted "1,3,1" whilst moving the balls. He then moves over to the locks, on this part of the wall we have various different door locks easily accessible for the children to play with. Vinnie shows interest in one particular lock, he opens and closes the lock multiple times before being distracted by a different activity. 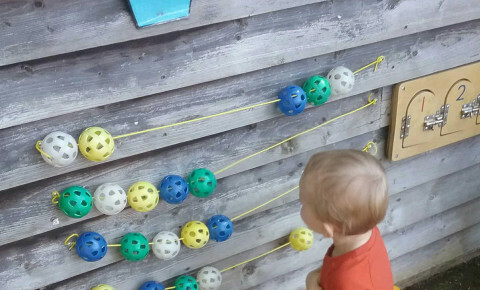 Why does a sensory wall help improve development? Vinnie begins by moving the balls on the string, by doing this he’s not only enhancing his gross motor skills, he is also learning a sense of direction by moving them backwards and forwards, left and right. He then begins counting after observing a staff member do so. This is enhancing his Mathematical Development and improving his awareness of how many objects are in front of him. He moves on to the locks, again enhancing his gross motor skills by carefully pulling on the lock to open and close it, this also requires concentration and attention. There are many ways a sensory wall can support your child’s development and support them in areas they need support on most. 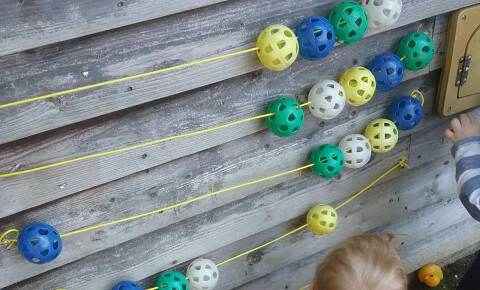 Fun sensory walls you can make at home! Pots and Pans- Using a cable tie connect some pots and pans to the wall and let your child have fun filling them with water and banging them around! Flower Wall- stick some flowers on to the wall, make sure they are easily accessible to the children. Let your child water, smell and touch the flowers to help enhance their senses! Textured Wall- Use as many textures you can find and attach them to the wall, your child can run their fingers across the wall and feel different materials, to extend this activity, encourage them to speak about the textures, are they hard or soft? Are they bumpy or smooth? Toilet Roll Tubes- Connect toilet roll tubes together and create a long tunnel. 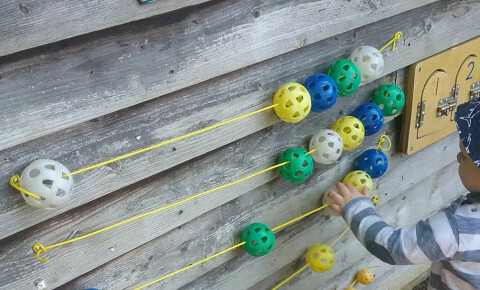 Once attached to the wall your child can use balls to put in the tube and watch them fly out the other side!